Just about anyone would think twice before dropping a cool grand on a new video card, no matter how powerful it might be. But if you’re a gamer, AMD’s Never Settle Reloaded marketing program reduces the effective cost of any of its Radeon 7990 series by as much as $300. Consumers who purchase a Radeon HD 7990 card will be given codes to download seven PC games for free, plus an eighth mini game to be released on May 1. Whether or not the consumer realizes the full $300 savings, however, depends on how many of these games they’ve already purchased. The majority of the games AMD is offering in its program are triple-A titles. The upside to the program is that these are great games that hard-core gamers will want. The downside to the program is that hard-core gamers might have already purchased them, and the codes don’t entitle them to cash refunds or trade-ins. AMD's Never Settle Reloaded program bundles several triple-A titles to any consumer who purchases one of its Radeon HD 7000-series video card. But the bundle is particularly sweet for those who spring for a top-shelf Radeon HD 7990. Bioshock Infinite is one of the year's best games; in fact, it might be one of the best games in several years. Far Cry 3 is the last of the highest-profile games. Another $50 value, the Ubisoft game has been widely praised for its story and its open-world environment. But there’s no getting around the fact that the game was released in North America in December, 2012. The majority of fans interested in this title have likely already purchased and finished the game. Perhaps to acknowledge that fact—and to rekindle interest among gamers who haven’t dived into the game—AMD recently added Far Cry 3: Blood Dragon, a stand-alone expansion that will sell for $15 when it’s released on May 1, to its bundle program. 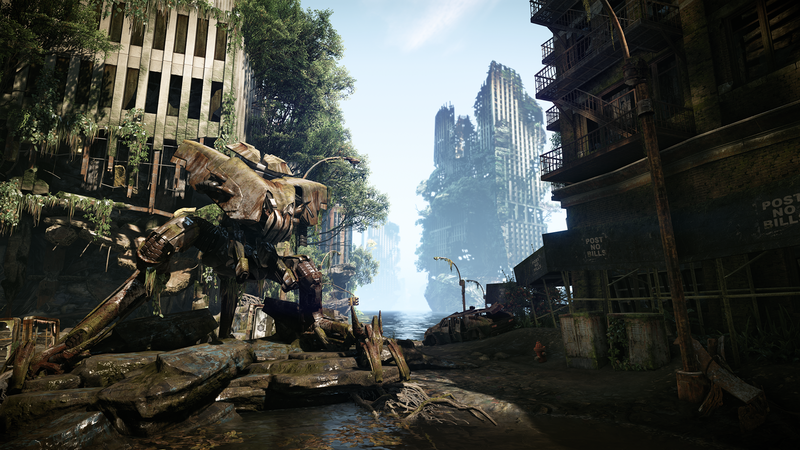 The Radeon HD 7990 can deliver Crysis 3 at resolution of 1920-by-1080 pixels at more than 37 frames per second. Deus Ex: Human Revolution, developed by Eidos Montreal and published by Square Enix, is an even older title, having been released nearly two years ago. The cyberpunk-inspired game received critical acclaim on its release, though, and some gamers might have overlooked it. It’s currently selling for $30 online. IO Interactive’s Hitman: Absolution is slightly newer, but it was well received when released in November, 2012. It’s also available for around $30 online. Timothy J. Seppala interviewed the developers for us last year. Deus Ex: Human Revolution is an older title that many gamers might have overlooked. Our Alex Cocilova describes the last title in this bundle, the action/adventure game Sleeping Dogs, as “Grand Theft Auto mixed with a Jackie Chan movie” in his story about games that will bring your PC to its knees. Originally released in August, 2012, the game is now selling online for about $30. 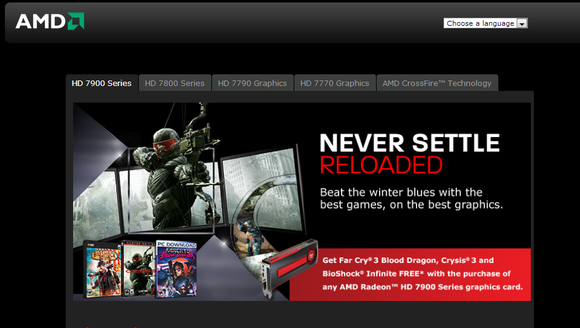 In short, AMD’s Never Settle Reloaded program could add as much as $300 in value to its Radeon HD 7990. Or if you’re the hardest of hard-core gamers, it could add no value at all. Looking for more information about the Radeon HD 7990? Click here for our in-depth hands-on preview.